Did you know you can get money making apps for your smartphone to turn it into an online earning hub? In this post I talk about apps that pay you for completing short activities either at home or out and about. Note: these apps use mobile data – please check you have enough data as part of your contract before using them. In my previous post about mystery shopping I wrote about different companies you can pre-book tasks with and complete a report about your experience. Sometimes these reports take a long time and you have to remember lots of information in order to fill them out. There are a number of mystery shopping apps that solve this problem. To use these money making apps you log in to see what tasks are available near to you (visible either in a list or on a map). You read through the task details and accept it if you want to do it. Normally you have 2 hours to get to the location and answer the questions presented to you in the app. Usually you take photos of the outside of the premises, and for shop tasks you often take pictures of products on the shelves or of promotional materials. Some tasks require you to buy an item which you usually get reimbursed for. There are few that give you bonus payments if you get a product put out on the shelf that wasn’t there already (these are merchandising tasks). Sometimes you interview the shop manager about their experience of stocking a certain product. The best thing about the tasks is that they do not take long to do. Once you complete them that’s it, you relax and wait to get paid! Some of the products you purchase can be quite good too! I’ve listed below the mystery shopping apps that are available and a short review of each one. Roamler is by far my favourite mystery shopping app. It is well designed and easy to use. They have a lot of tasks available and you can earn some decent cash. My record is £180 in one month! The availability of jobs can vary from week to week, but that is true of all these apps. If tasks are still available close to their deadline Roamler quite often put the fee up to make them more tempting! You go through a bit of a lengthy training process in order to get approved. It’s worth doing so you know how to complete tasks the right way and get paid for them. You may find there are no vacancies for Roamler in your area, in which case you’ll need to get a referral code. Comment below to request one! I will let you know if I have one and will send it your way if I do. Visit TheMoneyShed.co.uk where you can get a code after making 10 good quality posts in the forum. Keep an eye on Roamler’s Facebook page for a signup code, or post on their page to see if other ‘Roamlers’ can give you one. BeMyEye has the best job availability after Roamler, but you have to be fast as tasks tend to get snapped up quickly (or they do in my area at least!) Unfortunately the app is not as stable and quite often crashes mid-task which is frustrating, especially if you have to take your pictures again. The other thing I have found is that when the app launches the camera it puts the flash on. This is not ideal when you are trying to take covert photos! I usually have to launch the camera with the back of the phone pressed up against my sleeve to hide the flash until I can turn it off. The benefit of BeMyEye is that they tend to pay higher fees. Streetspotr is quite a good app and the jobs are similar to Roamler and BeMyEye. The tasks are set out in a way that you can easily look back at the different questions if you want to review them. I find the camera can be a bit slow to respond which can be frustrating. I’ve had issues in the past where the pins for the tasks have been inaccurately placed. If this happens you have to message Streetspotr to get them to move the pin before you can complete the task. You can’t submit your answers if you are not at the location set by their pin. Overall, the availability of Streetspotr tasks is low compared to BeMyEye and Roamler, but they might have more in your area. 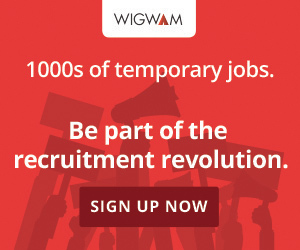 RedWigWam works a bit differently to the other apps in that the company is an employment agency. When you sign up you become an employee, so you have to go through quite a long winded process of document checking to prove you are eligible to work in the UK. Your task payments will have tax and national insurance deducted and you receive a weekly payslip. Although a lot of their tasks are similar to the other apps, they will also invite you to other temping jobs such as working as bar staff at events. They have quite a few merchandising tasks available too. I find completing reports on their app is not as user friendly as the others but it’s not difficult. Launching the camera from the app usually tends to make it crash. However, you have the option to use your normal phone camera app to take all the photos needed. You then upload them into your report from your gallery (not something you can usually do on the other apps). If you don’t get on with the app, you have the option to fill out the report on the RedWigWam website from your computer. Job availability is pretty good, but make sure you respond to their invite emails quickly before the tasks are all claimed! Field Agent – worth downloading and signing up to see if they have work in your area. It’s pretty non-existent where I live though so I no longer use this app. Clic and Walk – again, I didn’t have much luck getting paid tasks from this app so I no longer use it, but have a look to see if they have anything near you. Another way to earn money through your smartphone is to try different survey apps which are available. These money making apps are easy to use. You just take a look at them whenever you have a bit of free time. I quite like to use them when I’m queuing! The apps will guide you as to how long each survey will take so you can complete them according to whether you have the time or not. The Streetbees app has interesting surveys that are presented to you in a messaging type format. They are easy to fill out and for some questions you take photos or videos as part of your answer. The surveys are interesting and topical, often linking to current events. A big point to make is that not all surveys are paid, and availability of paid surveys varies. Sometimes if you complete a paid survey it doesn’t show up on the payment screen. This can be confusing and makes it hard to keep track of your earnings. As a result I’ve had to query missed payments with the helpdesk in the past, although they did correct the error and sent me what I was owed. I’ve also had issues with uploading videos in the app. This meant I didn’t get paid, so I tend to stick to the ones that only require photos. If you sign up to Streetbees and would like to use my referral code, it is 7984KL. Thanks if you do! SurveyBods has a very nicely designed app which links to your online account. When you open it you get a mini version of your SurveyBods dashboard and a list of available surveys. After clicking on a survey it launches the browser on your phone which is where you will actually complete it. I would love to give it a higher score, but for my demographic I don’t get as many surveys as I would like. Also, I am quite often screened out which gets annoying. The surveys I do get tend to be interesting and have a user friendly format. Curious Cat is a quirky app that offers you surveys of different length in a nicely presented card format. You choose surveys you are interested in, based on the type of task and the points on offer (each point is worth 1p). I only tend to go for the straightforward surveys, but there are ones that pay more if you are willing to download tracking type apps to your phone. You receive all the details after selecting the card so you can then decide if you are happy to go ahead or not. The surveys launch in your browser. After completing them Curious Cat quickly notify you to say you have new points. You still receive a point if you are screened out of a survey. This happens quite often (for me at least) but within the first few questions, so it doesn’t feel like a waste of effort. One of the main things I like about the app is the very low payment threshold of £1. Qmee is another app that offers you surveys as a list of different cards. The surveys offered normally take 5-15 minutes to complete. Unfortunately they do not pay very highly so I did not use this app for very long. One benefit is that you can cash out via PayPal at any time. There is no minimum payment threshold. Another feature of the app is the coupons it offers. If you like to get bargains on branded products when you shop it could be worth you seeing if there are any useful coupons available to you. Qmee also has a chrome extension web app which rewards you for allowing it to see your web search data. I personally don’t like sharing my data in this way, but if you don’t mind it’s an easy way to earn some extra cash. Vypr surveys are very short and quite fun. Usually they involve you looking at a picture of a product (usually food) and say whether you would buy it or not! It only takes a few seconds to answer each question. There are also some more highly rewarded mini tasks you can do at stores or chain restaurants. When I initially downloaded the app there were lots of surveys available. However, since completing them I haven’t had very many available. You have to get up to 10,000 points to get a £5 PayPal payout. Even with the 2,000 points I got for signing up it is taking me forever to get to the threshold. After a few weeks I am only on 3,400 points. Some people do have more success with it though. I hope you have enjoyed this post and go on to get some good earnings from money making apps! Do you use any other apps on your phone that I haven’t included here? Feel free to mention them in the comments below! Thanks for all this useful information. I have some of the apps already, but I want to try RedWigWam and Roamler next. I clicked on your link for RedWigwam. Do you have a spare invite for Roamler please?